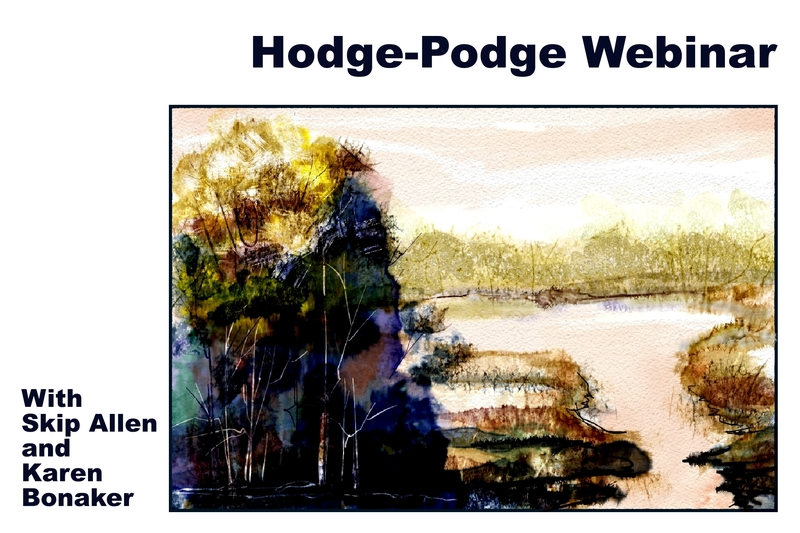 Hodge-Podge Webinar opening shot. I did not demo this painting. I thought it might look pretty while waiting for the webinar to begin…LOL. Here is the webinar download for Corel Painter 12.2 Real Wet Oils and Flow Maps, 12:PM Eastern 7-24-2012. Here is the download for the second webinar, Corel Painter 12.2 Real Wet Oils and Flow Maps, 9:00PM Eastern 7-24-2012. Yes, I plan to be there. I think the The Artist’s Quarter has great meetings. Everyone should check it out. I know they would love the classes. See you tomorrow. Thanks for the generous sharing of your knowledge and experience…I really learn a lot from listening to you think out loud. I am a newbie to Painter and your mastery of Painter is obvious. Your are a great teacher! Thank you for such a nice comment. I so glad my videos are helping you. I am passionate about Painter and love sharing that passion with others. You are going to have so much fun with painter. Thanks for stopping by and leaving a comment. You have that right! I think it will take us two lifetimes to learn all there is about Painter. It is a very rich program and we are fortunate to have it. Hey…did you watch the webinar live. I know several Aussies did, which surprised me. It would have been early morning…like 2 or 3 AM. I will have some webinars around 9 PM my time, which will be around noon the next day your time. It is amazing how this technology connects us…just amazing. Here, here! (from OZ) That gets my vote. I always enjoy for Webinars. Just like I did in class. I will definitely adjust live times to make it easy on various time zones…LOL…don’t want you guys yawning during the presentation. I have to look at the statistics, but I think there were at least 4 Aussies in attendence…also folks from Sweden, Mexico, Italy, Englan, Canada, and the USA. No Skip i would have liked to see it live but next best i downloaded it. with brush strokes to get the best results. Wow! 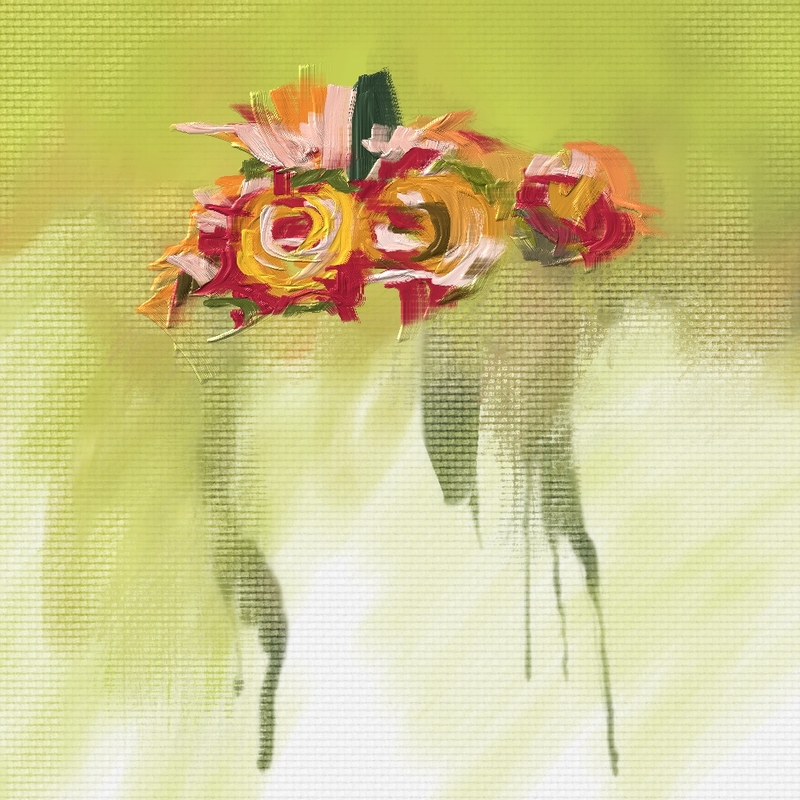 what great info on brushes, the mystery item in Painter. It was great. i am advancing fast, believe it or not from all my questions, which you and Karen have so kindly answered. Check out my texture exercise I posted Friday, 5 textures from Capital Reef And Escalante Utah. Glad the webinar was of help. I’ll check out the textures today sometime. I bet they are fantastic. Thank you so much skip. And thanks also for introducing me to DAA… I’ve been scratching my head with Painter 12 and my new intuos5 and was thrilled to come across the three Introduction to Painter courses on there, as well as your course (which I’m itching to take). Thanks Jay. I am glad you are enjoying Painter and DAA. I was just like you four years ago. At that time I had bought an Intuos 3 and Painter X. I found DAA and started taking classes. It is amazing what a few classes can do. Hope to see you in the watercolor class soon. For some reason I missed this when you first posted. You are the sweetest person; I really appreciate your comments. I’m looking forward to seeing the work you post. Skip, thank you for your informative webinar(s)! And the download of the video of the 7/24/2012 noon webinar works fine. Great. Do let me see what you do. WOW!! Skip, many, many thanks for this!! I downloaded the brushes today and wondered where they went. They were already in place in Painter!!!! How awesome is that? This video is so dense in content I plan to watch and take notes probably several times. So much good stuff here!!! Can’t thank you enough! So glad there is some stuff that will be useful to you. I’m trying to figure out if I can make a pdf of the audio. I’m sure that would be helpful, but so far, it escapes me. Oh my YES, a PDF of the audio would be fantastic!!!! No clue if that can be done, but really appreciate all your efforts. I just found the gessoed canvas and am playing with it. Also want to make a flow map on the line of yours. May I ask what brush you used to create the flow map from the video? As Ralph often said to Alice ” You’re the greatest”. Still want to get together for one on one. This course will immerse the digital artist into the late 19th century as we study the works of some of the great women Impressionist painters of the time. This course will introduce the digital painter to the world of Impressionism from the viewpoint of the women who were part of this amazing time in art history. We will begin with Berthe Morisot, Week 2, Mary Cassatt, Week 3 Eva Gonzales, and Week 4 Marie Bracquemond. Students will enjoy live sessions for each of the four weeks that the session runs. Live sessions are recorded and will be made available to the student for download. Your Mentor will provide you with video tutorials that you can follow along with each week of the course. I’m ready to get together when you are. Just let me know a time when you would like to meet. Skip that course sounds amazing! Is that through DAA? It is a course at DAA. Karen gives 4 Open Studio Classes a year: Spring, Summer, Fall, and Holiday. They are wonderful classes and I never miss them. I have never been disappointed in an Open Studio Class. Jay, when you go to DAA, sign up for the newsletter. That way you will be notified of all the class offerings. I know you would enjoy it. I just found your site and want you to know how much I appreciate your generousity and sharing. I am new to painter and to the wacom tablets and I found it overwhelming the amazing range of options. Thank you for visiting and posting. I hope you enjoy Painter and your Wacom tablet as much as I do. They are a bit overwhelming at first, but if you are like me, you will find them enjoyable and you will feel comfortable in no time at all. I just checked the link and it is working fine. Please try again. I know they go down from time to time. If you still cannot get in, then I’ll check again. can’t thank you enough for your generosity and sharing your knowledge with the world . just downloaded your brushes , i’ll be busy for a while . thank you . Yeah! Good news for me indeed. Where I can get your oil flow map brushes? Skip: your work and sharing of your knowledge is invaluable to a newbie Painter (though a pro photographerI) like me… there is so very much to learn. Thank you from the bottom of my heart. I can’t tell you how much it means to me to hear from folks that are finding the blog useful. You have made my day. Thanks for the tutorials, I find it easier to learn and retain information this way myself. I am looking out for a tutorial that deals with Quick Clone and preserving transparency. I have a figure I have masked the background out in Photoshop and brought the whole image into Corel Painter to use the Quick Clone to paint the figure. I can’t figure out how to mask out the figure and preserve the background so I don’t get any of the white background into the freshly painted figure. Can you use a selection mask while using the Quick clone tool? Hi Alan, Yes you can do all that you are talking about. I don’t remember if I have a tutorial on the blog concerning the subject. There is a search function on the banner, put in Quick Clone and you should get something. Also, check out my You Tube Channel, I have a tutorial about making a channel in Photoshop and bringing it into Painter…Alpha Channels between the two programs are compatible. I would give you the answer now, but I am closing down the computer and heading to another state to see my sister. She is a stroke victim and is having problems. I’m her only family and I need to help her. I think I will be back on the computer by the weekend and I’ll try to write to you then. But, that is a guess on my part. The other two suggestions might hold you over until then. Hello Skip. Where might one find the specific paper you use in Hodge Podge Webinar called Fabrinao artist… something? Hard to read the print. I love learning from you ans working in Painter 2015. Hi Linda, Sorry for the delay. I believe that paper came from Tim Shelbourne, but Karen Bonaker has one also. I’m not sure which I was using. Google Tim and Karen and you should be able to find the paper. Happy birthday to you Skip==really enjoy your posts. Great job. Wonderful tutorials and generous of you to share with the world! I have not found a way to save colors to a custom color library. There don’t seem to be any tutorials about the subject which surprises me. I hacked my little heart out too. Using Color Sets is a pretty big topic, and there are bunches of tips and tricks when using color sets. Before looking for information on You Tube or my blog, I usually suggest that folks try the Corel Painter Help files. You can find them by clicking on Help in Painter and then clicking on Help Topics. The files are on the web now and can be changed and updated easily. They are a terrific resource for all things about Painter. I have read the help files multiple times and each time I go back I learn some little tip I didn’t know. I would always go there first, and then if I don’t get the answer, I would search the web or ask some knowledgeable person. To answer your question…you will want to select a color using any method…from the Color Panel, using the dropper tool, however you wish. Now, at the bottom of the Color Set Library Panel, there is a row of icons. Second from the right, is a rectangle with a plus…this is the add color to color sets icon. Click it and the currently selected color will be added to the currently selected Color Set Library. Just wanted to say that the webinar on 8-13-15 was great and i hope there are more. I have x3 education edition, but i still enjoyed it! I did have a lot of fun. I think we might have some more. Right now time is taken up with the class, but once that slows down, then we will have a few more. I still have X3 loaded, too. Dear Mr. Allen, I am from Barcelona and I want to thank you for your always helfull information about Corel Painter. I am an amateur illustrator and I am sorry not to be able to take some classes in your place which for sure would help me a lot to improve but I always use your helpful videos which little by little allows me to improve. Many thanks again and please know you have a fun in Barcelona. By the way, I would like to know if it is possible to download some new nozzles. I love Barcelona, I lived in Sevilla for a couple of years way back in the 70s. I always thought I would return to Spain, but I haven’t. I have the fondest memories of my time in Spain. It is possible to import new nozzles into Painter. The problem is finding folks who are making nozzles…I haven’t made any in quite a while. But, it isn’t very hard to make them. I thought I had a tutorial on my blog or on my You Tube Channel, but I cannot find it. I am pretty sure I have done one. But, in a few weeks, I’ll do another one about how to make nozzles to use with image hose variants. Check back in a few weeks. Enjoy, Skip.